Trailer for your Weekend: R.I.P.D. A little late with this, but better late then never I guess. 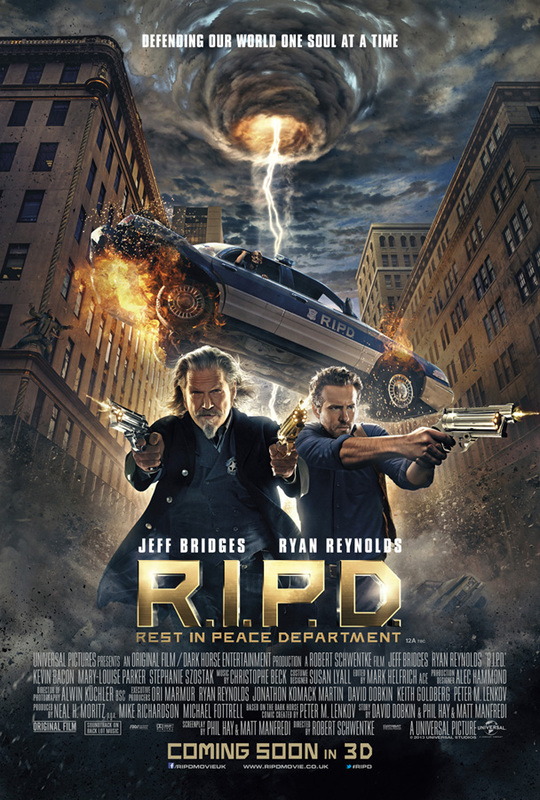 R.I.P.D is apparently already out in the states, though it mustn’t be making many waves because I have not really seen any reviews doing the rounds. The trailer looks like it could be a pretty clever ride and it has some pretty interesting people involved – Jeff Bridges, Ryan Reynolds and the awesome Mary Louise Parker. It does also look like it has a tone that could definitely go either way. Has anyone seen this already and care to share their thoughts? I read a review last week that said it was horrendous – and a complete joke; yeah, it did not look promising. I would advise to steer clear. You could also go on IMDB and read the message boards and get an idea of what the general consensus is. Yeah, I read some reviews after I posted this and the film is getting absolutely panned. Which is a bit of a shame. Shamefully no on Sling Blade. My half-hearted attempt to find a copy failed. Will have to ramp up my efforts. Go to Amazon Instant Video and you can rent it; or just buy a cheap copy of the DVD; you’re going to want to add it to your collection anyway. Just trust me on this. Cool. Will suss out Amazon Instant, but I suspect it doesn’t work here. Have been chasing a cheap copy of the DVD but no luck as yet. I will get it. I’m building your suspense before I eventually get my hands on it. It looks like an awful copy of Men in Black. I hate seeing Jeff Bridges degrading himself like this!